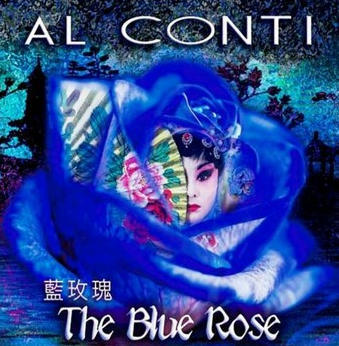 The Blue Rose is the new album from Al Conti. It is filled with the sounds and atmospheres Asia. It is a nice enough album, and Al Conti’s fans will find great melodies and harmonies here – but is not quite as memorable as expected. “A princess, a rose, and a quest for the unattainable. After reading some rave reviews online, I had hopes that Al Conti too had found that blue rose, in the form of a special, almost unattainable sound. But that did not happen. The Blue Rose is a beautiful album, no doubt about that – but it does not have that drive and energy previous Al Conti album have. With such a dramatic backstory I expected more than pads, bright piano, and one or two Asian instruments. Perhaps it is because of my deep love for Kitaro’s music, or my recent listening to Tony Scott’s masterful Music for Zen Meditation, that I find that The Blue Rose lacks a vital touch of Eastern mystique. The last two tracks are the best, but then it is a little late to save the impression of the album. It must be said that The Blue Rose has had a fantastic few months on radio, with top ratings on Zone Music Reporter. So don’t take my criticism too seriously and do listen to Al Conti’s new album. After all, New Age music is not about authenticity, but atmosphere – not unlike a blue rose. 80 /100 – see how we rate music here.